Have you heard about sleep hygiene? If not, then you’re in luck! Especially if you’ve been having trouble sleeping lately. 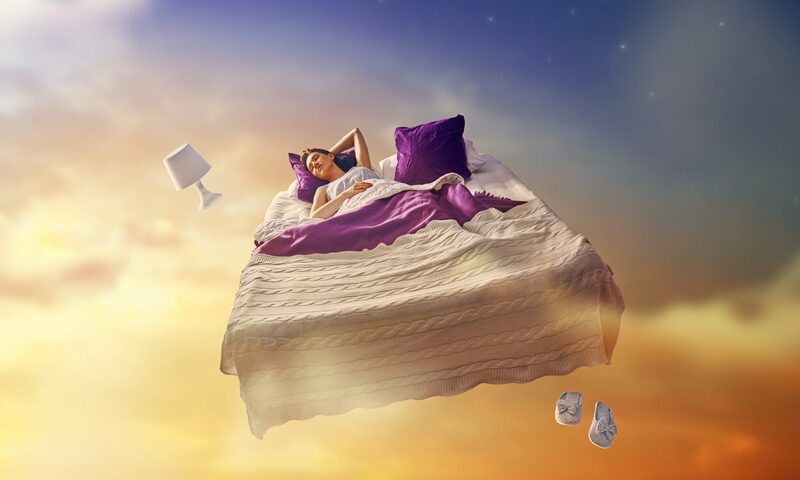 Sleep hygiene is a series of personal habits which – if you start practicing them – can seriously improve both the amount of sleep you get and how easy it is for you to fall asleep in the first place. Best of all, it’s completely free! You don’t have to pay anyone to teach you and you don’t have to purchase any fancy gadgets or accessories. As a matter of fact, if you’re curious, all you have to do is to keep reading this page. Because we’re about to explain the basic principles of sleep hygiene for you. Today, we’re just going to start with the basics. You don’t want to rush into anything too fast or overwhelm yourself – otherwise, it won’t work. You’ve got to learn to walk before you can run, after all. For some of you, it may be like learning how to crawl before you can walk. Regardless, starting slow and simple with the very basics of sleep hygiene can help you transform your nightly routine and get the best sleep you’ve ever had in a good, long while. Mankind has evolved over thousands and thousands of years to be diurnal (fun fact: that’s the exact opposite of nocturnal). Our bodies were born to wake up at sunrise and settle in for a deep rest once the sun went down. But back then, the sun was the only light in our lives. Things are much more complicated now with electronic devices and artificial lighting. It completely messes up our circadian rhythm and throws our sleep/wake hormones out of balance. But there are two simple things you can do to try to correct this imbalance. For starters, make time to give yourself more sunlight exposure during the earlier hours of your day. This ends a “wake up” signal to your brain and kick-starts production of the wakefulness hormones which give you energy and mental clarity. Next, limit your exposure to electronic light in the evening. 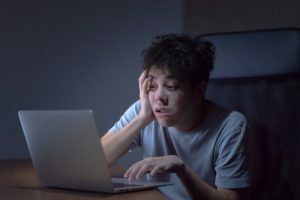 Electronic devices bombard your eyeballs with the type of blue light that tricks your brain into suppressing melatonin. Melatonin is one of the most important hormones for sleep. So unplug, already! It’ll do wonders for your rest. Pro tip: if you can, try to make sure you get up and go to bed at the same time each day. Work with your body’s circadian clock, not against it. With enough conditioning and practice, you may never need to set an alarm again. 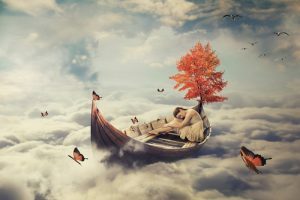 Your Sleeping Environment – Are You Doing it Wrong? The perfect sleeping environment is cool, dark, and free of distractions. If possible, set your thermostat for 68 degrees at night. Make sure there isn’t any ambient light peeking through your windows or coming from electronic devices. Blackout curtains and sleep masks work really well for this. Lastly, although we hate to say it, you may want to train your pet to sleep in its own bed. 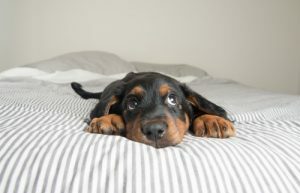 Rowdy pets could wake you up in the middle of night and ruin your sleep cycle, leaving you feeling groggy and awful the next day. Pro tip: turn your environment into a zen haven by practicing meditation right before bed. It’ll help clear your mind and dispel the anxieties of the day. Exercise Is Important for Better Sleep – No, Really! Have you ever noticed how young children seem to have all the energy in the world and then sleep like a rock at night? There’s a little bit of a cycle going on. When you sleep that well, you have tons of energy the next day. And when you run around all day playing and having fun – as children do – you tire yourself out and get great sleep that night. If you can find time to run around and exercise more in your daily life – especially if you can find a physical activity that is also fun for you – it’ll tire you out the same way playtime does for young children. And you’ll be able to sleep that much better at night. Pro tip: exercise your mind at the same time. 20% Of the calories you burn each day are burned exclusively by your brain. If you can’t exercise, or if you can’t exercise enough to make yourself more tired at bedtime, do something that challenges your brain to work harder. Learn a new skill, read a difficult book, or journal your day and write about the things that are keeping you up at night. All of these can help exercise your brain and put it in a space which is more conducive to sleep. As tempting as they are, prescription and over-the-counter sleeping pills will do you much more harm than good in the long run. Even though you feel like you’re completely asleep, your brain isn’t getting the restorative rest it needs because the chemicals block its ability to regenerate itself properly. And if you use these sleep drugs for a prolonged amount of time, it can permanently damage your brain’s ability to repair and replenish itself – even if you do figure out how to fall asleep naturally again. So beware of these substances, and only use them if it is absolutely necessary. Pro tip: try and incorporate a natural sleep-aid like Avinol PM into your nightly sleep hygiene routine. Yes, we know we said you didn’t have to buy anything in order to take advantage of our sleep hygiene tips. And you don’t, to be fair. There is a money back guarantee you can take advantage of if you don’t like it. But if it does work for you, then that’s even better! So there you go – the basics of sleep hygiene. As you experiment with different tricks and techniques, be sure to keep track of what does and what doesn’t work for you. It’s important to figure out the perfect sleep routine for you and your body – after all, your health is at stake! Eating Before Bed Isn’t Just Bad – It Can Be Dangerous, Too. There’s been a lot of talk in the news lately about how bad it can be to still be eating close to bedtime. Problems like weight gain and reduced sleep quality are some of the worst side effects. It can even make it difficult to fall asleep in the first place. Unfortunately, between our busy schedules and nighttime rumblies in our tumblies, it can be difficult to to avoid eating right before bed. But it’s not completely hopeless. You can still lose weight, get good quality sleep, and find a way to keep yourself from going to bed starving. It’s important to understand, however, exactly why eating late at night is so bad for you. It can help put things in perspective so that you are more motivated to make better decisions about your health. Have you heard about autophagy? In its own way, it has a strong connection between sleep and eating before bed. When you eat right before bed it shortens the amount of time you spend fasting during any 24 hour period. When you’re fasting, autophagy happens. Autophagy is great because it does several good things for your body which improve both longevity and your overall quality of life. Autophagy is any small amount of stress which makes your body build itself back up stronger and more resilient. There are many things that do this; exercise, swimming in cold water, or spending time in a sauna are just a few. One of the easiest ways to trigger autophagy, though, is fasting. The longer you fast during a 24-hour period, the more benefits you will get. It may seem difficult to go for an extended period of time without food. Not only will there be physical side effects at first, but our culture has brainwashed us into believing that you will immediately go into “starvation mode” and suffer negative health consequences if you aren’t eating every few hours. This is just plain baloney, and there’s plenty of scientific evidence to prove it. If you get good quality sleep at night, you’re automatically fasting for at least 8 hours out of your day. And the more distance you put between your final meal and bedtime, the more fasting you can squeeze in. That leads to more autophagy and better health benefits – including good sleep. Everyone these days is talking about inflammation – and for good reason. Inflammation is more rampant in modern society than it has ever been before, and it is taking a serious toll on our health and wellness. Doctors and scientists now believe that there are a plethora of autoimmune diseases which can be directly connected to inflammation. Granted, we aren’t trying to demonize every form of immune activity. The occasional acute inflammatory response is fine, like in the event that you get injured and need to repair. But if you’re constantly triggering this response outside of the need to heal or fight disease, it can lead to serious health problems like metabolic syndrome or type 2 diabetes, among others. Speaking of cortisol, we need to talk about adrenal fatigue. These are the glands which sit on top of your kidneys and regulate the vast majority of cortisol which is produced in your body. If you’re constantly eating late in the evening and causing cortisol spikes while you sleep, your adrenals will eventually run out of steam. This is what medical experts refer to as adrenal fatigue. If left unchecked for too long, it can cause diseases such as hypothyroidism. More specifically, adrenal fatigue is considered a secondary type of hypothyroidism. This distinction is important because these two types of the disease require different kinds of treatment. If you get the wrong type of treatment, it can make the condition worse! So do yourself a favor and stop eating before bed if you want to avoid the dreaded adrenal fatigue. Taking a natural sleep aid half an hour before bed can help reduce some of the gnawing hunger which prompts people to eat late at night. They usually instruct you to take the supplement with a full glass of water. Since having something in your belly usually prevents your stomach from growling, this can amplify the benefits of your sleep aid. If your sleep supplement happens to contain melatonin, that’s even better. Melatonin has an inverse relationship with cortisol – this means that the more melatonin you have in your system at night, the less cortisol your body will produce. Not only does this calm you down and make it easier for you to sleep at night, but it helps reduce the long-term consequences of late night eating. 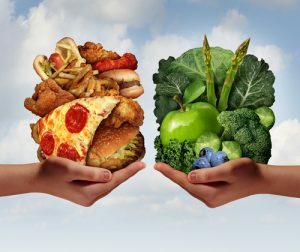 If you simply can’t or don’t want to stop eating too close to bedtime, there’s really nothing at the end of the day we can do to influence your decision. We can only offer you at the facts and hope that you make the right decision for your health and wellness. But we hope you’ll at least consider giving this one, simple lifestyle change a chance. We promise that you’ll experience some very real and very wonderful benefits. Are you having trouble with your sleep? Have you googled for solutions online, talked to your doctor, tried to take dangerous pills, and found no success? Are you at your wit’s end? Well, here’s a seemingly radical solution: have you tried to clean up your diet? It may sound crazy, but making healthier changes to your diet can really help improve your nightly rest. If you don’t believe us, we implore you to keep reading and hear us out. You may be surprised by what you learn. What Exactly Is a “Poor Sleep Diet”? When it comes to a poor sleep diet, you have to pay close attention to the foods you eat and the beverages you drink. Drinking and eating the wrong foods can wreak havoc on your ability to fall asleep at night and get the quality rest your body needs. 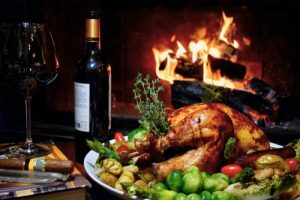 So if you want to improve upon your sleeping habits, you’re going to have to moderate your intake of the following foods and beverages – or eliminate them all together. We know this is going to be difficult news for a lot of people to hear. After all, how easy is it to fall asleep after a night of drinking? How much better do you sleep after taking a nighttime cold medicine – which, spoiler alert, is at least 10% alcohol in every dose? In a way, alcohol’s ability to make you fall asleep is similar to that of prescription sleeping pills; it’ll get you to sleep, but you’ll still get extremely poor quality sleep. And in the long run, getting poor quality sleep can be just as bad as getting no sleep at all. The sleep you do get from a nightcap or dose of cold medicine or from drinking to the point of excess is short-lived for most people. Getting to sleep with the help of alcohol shortens your sleep cycle and reduces the number of hours of sleep you get. So when you wake up from your drunken stupor, you’re getting the double whammy of sleeping fewer hours and sleeping more poorly. Lastly, falling asleep while you are still under the influence takes a huge toll on your body. Instead of detoxifying your brain and fixing the damage of your day, your body is metabolizing alcohol instead. This can cause systemic damage through every single cell in your body and, over time, lead to some serious health consequences due to poor sleep. Alcohol is bad for your body in many ways – sleep especially. But caffeine really only has a negative effect on your sleep patterns. Don’t get us wrong – it’s okay to use caffeine to help pep you up in the morning, especially if you’ve had a particularly restless night before. But drinking a single drop of coffee or taking caffeine pills after 12 p.M. Should be a big no-no in your book. Although you may not feel it, caffeine’s excitatory effects linger in the body long after you’ve had your final sip. And if there’s still caffeine circulating through your bloodstream when you put your head on the pillow, you will likely have trouble falling asleep. Even if you do sleep, the quality of your sleep may not be so great. Again, this is another entry where indulging yourself during the daytime hours can be relatively harmless; it’s when you eat spicy food too close to bedtime then it becomes problematic. Indigestion and heartburn can be painful and uncomfortable enough when you’re sitting or standing upright during the daytime. But when you are lying flat on your back in bed, it’s the worst. The acidic fluids in your stomach can easily slip back up into your esophagus causing a painful, burning sensation that you wouldn’t feel if you were sitting upright. Propping pillows under yourself to stay somewhat elevated can be an answer, but it can also be a very uncomfortable sleeping position for a lot of people. Although what you eat is important, the when and how you eat are almost as important, too. Furthermore, if you aren’t getting enough exercise, that’s another aspect of your poor sleep diet which you should try and fix. Exercising earlier in the morning is best, but even exercising in the afternoon or evening is better than no exercise at all. You should also work on improving your daily eating schedule. Unfortunately, most of us tend to eat the opposite of the way we should. The average person eats little to nothing for breakfast, a moderate lunch or snacks all day, and a huge dinner right before they go to sleep. This is very bad for a number of reasons. Some of those reasons include weight gain, poor sleep, difficulty falling asleep, and difficulty staying asleep. The best way to fix this is to follow an inverted pyramid type of diet: make breakfast your biggest meal of the day, followed by moderate lunch and a late dinner. Furthermore, make sure you eat most of your carbs in the morning and most of your protein in the evening. This helps deliver the nutrients your body needs when it needs them most and can also prevent you from storing food as fat while you sleep. Another thing that trips people up is counting calories and/or points instead of focusing on the nutritional content of their food. There are plenty of low calorie, nutrient dense food out there that most people aren’t eating simply because they don’t taste as good. If you try to shift your palate towards these nutritious, low calorie foods, not only will you lose weight but your body will be able to produce more of the sleep hormones it needs to get easy, quality rest. If you’re trying to fix a poor sleep diet, there’s one thing you definitely need to add into the mix: an herbal sleep supplement. These usually contain many ingredients which are natural, safe, and effective at helping you relax. In addition to moderating your unhealthy food and beverage intake while improving the quality of the food you eat, a natural sleep aid is perfect for helping you improve your sleep diet. Are You Following a Good Sleep Diet? Here’s How You Start! Believe it or not, a “good sleep diet” is a thing that exists in the real world. Although it’s not what you would typically think of when it comes to dieting. It may seem confusing at first, but we’ll clear up this confusion right here, right now. Get ready for the 411 on the good sleep diet. Before you even think about how changing your dinner plate can help you sleep, you need to start thinking about another big, important circle: your clock. Well, your body clock, at least. Your internal rhythm has evolved in ways that expect certain meals at certain times in certain quantities. And if you eat against your body’s natural schedule, it can give you some serious sleep problems. Experts sometimes refer to these patterns as the Upside Down Pyramid eating schedule. And if you sit down to think about it, this eating regimen can make a lot of sense. It’s like starting your day with a full tank of gas, and going to bed on an empty tank. Eating more of your calories in the morning gives you more energy to tackle your day with a running start. Plus, at the end of the day, why would you load yourself up with energy? You should only do that when you need it – not at night, when you’re supposed to be at rest. Otherwise, the calories you eat in the evening will end up stored in your fat cells before anything else. While we’re at it, we want to make one more important note: sleeping pills should not be a part of your bedtime routine if you can avoid it. This is especially true for over-the-counter sleep drugs, or prescription sleep aids. These pills interfere with your body’s natural ability to sleep and can even reduce the quality of your rest. Natural sleep aids, on the other hand, are perfect for relaxing you enough to fall asleep on your own without ruining your sleep. Finally, we’re getting to the “diet” part: the part we talk about what you should eat. Changing your routine is most of the battle – but changing what’s on your dinner plate will bring everything together. We know we’ve given you a lot of information all at once. But this is all just the tip of the iceberg. Keep checking back to her blog for more information on good sleep diets, good sleep habits, and good sleep in general. Don’t Touch an Off-Label Prescription Sleeping Pill Without Reading This First! We know that, for some of the people reading this right now, it may already be too late. You may already have the prescription bought and paid for and in your hand right now. You may have even started taking it. But we’re guessing that if you’re on the internet googling about off label sleep medications, there was a lot of information about them you didn’t know before you started asking questions. First off, we want to congratulate you on being wise enough to know that you needed more info. Most people aren’t even aware that doctors can prescribe medications off-label – much less the associated dangers. The practice of prescribing prescription pills off-label is a highly controversial one. Some doctors still do it despite this controversy, either for profit or because they naively believe it is the best solution. But there are instances where taking a medication off-label can be extremely hazardous to your health. And there is certainly no exception when it comes to sleep medication. In fact, off-label prescription sleep aids may be the most dangerous of all. As with any medication your doctor prescribes you, you should ask for the name and what it is designed to treat or cure. If you’ve never heard of the medication before, don’t be afraid to ask questions! If your doctor gets defensive or hostile by your inquisitive nature, then it may be time to find a new doctor. But if they are understanding and patient with you, then you’ll know you’re getting advice and information you can trust. You should also ask your doctor whether the medication is off-label or not. If they confirm that it is off-label, be sure to ask them why they’re prescribing it that way and to what degree of certainty they believe it will work for you. As a patient, you are entitled to accurate responses to these important questions. We have a short list of the most commonly prescribed off-label medications for sleep. If any of these medications are in your medicine cabinet right now, use with caution. Read every single word of fine print in the warning pamphlet, and be sure to talk to your pharmacist about your doctor’s decision. In some instances, your pharmacist may know more about the medication, potential side effects, and possible harmful interactions with other medications than your primary care doctor. Again, don’t be afraid to ask these questions. If you don’t get all the information you need, you could be risking your health. Trazodone is another drug you should look out for if you have been prescribed an off-label sleep medication. Part of the reason doctors like to prescribe this medication off-label for insomnia to treat concurrent disorders like anxiety – which often keeps people awake at night. Many medical experts believe this is also a good medication for people whose depression is accompanied by substance abuse. Lastly, doctors and patients agree that this antidepressant is a much more affordable medication compared to similar drugs which are designed to treat the same symptoms. 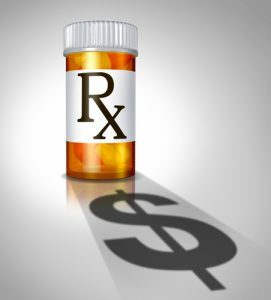 Prescription medications, regardless of the name or their intended treatment, are expensive and difficult to get. They’re also dangerous more often than not. But we put our trust and faith in the medical professionals who prescribe them because the expense and the effort makes it feel like it’s worth it. This doesn’t always turn out to be the case (unfortunately). Instead of trying the nuclear option first, how about experimenting with some natural sleep aids? These high-quality supplements are made with natural, pure, potent ingredients that grow straight out of the ground. They’ve been used for centuries take care of this problem – whereas prescription drugs have only been around for less than a century. There are no side effects to worry about – other than the positive side effect of getting more healthy, restorative sleep and waking up refreshed the next day. So why not try a natural, effective sleep aid tonight?